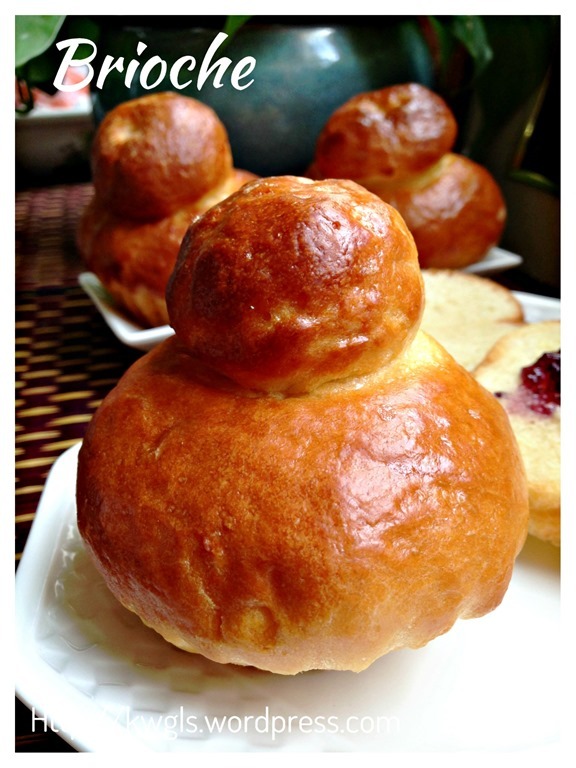 I prepared this brioche because it is a famous French bread that are reputably soft and aromatic because of its high eggs and buttery content. 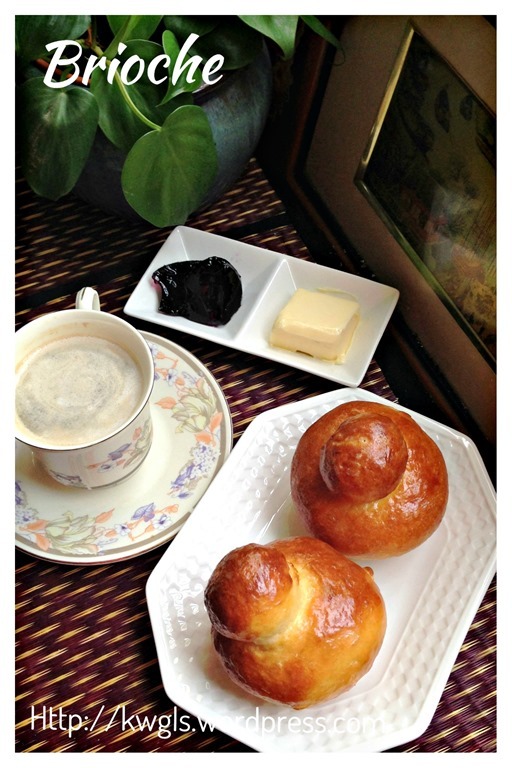 One of the members in my Facebook Group: Food Bloggers and Foodies United have prepared some brioches after her trip back from France and I thought I might as well try preparing it as well…. 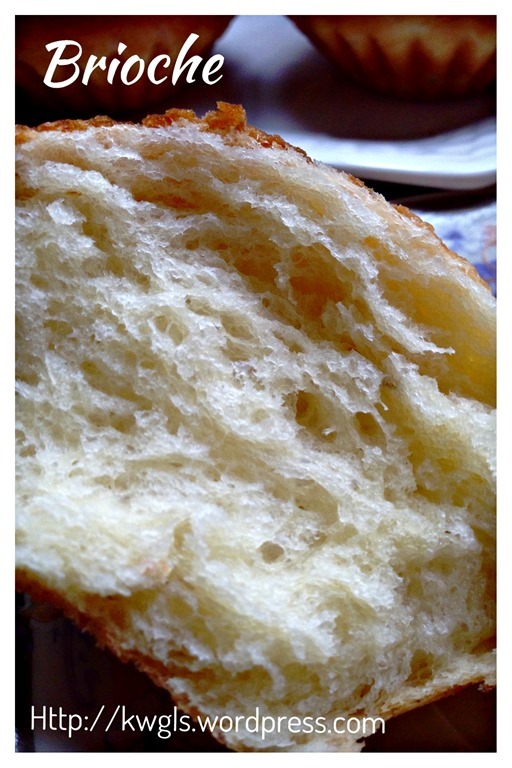 Yes, I love the bread, for its buttery aroma and its soft texture. 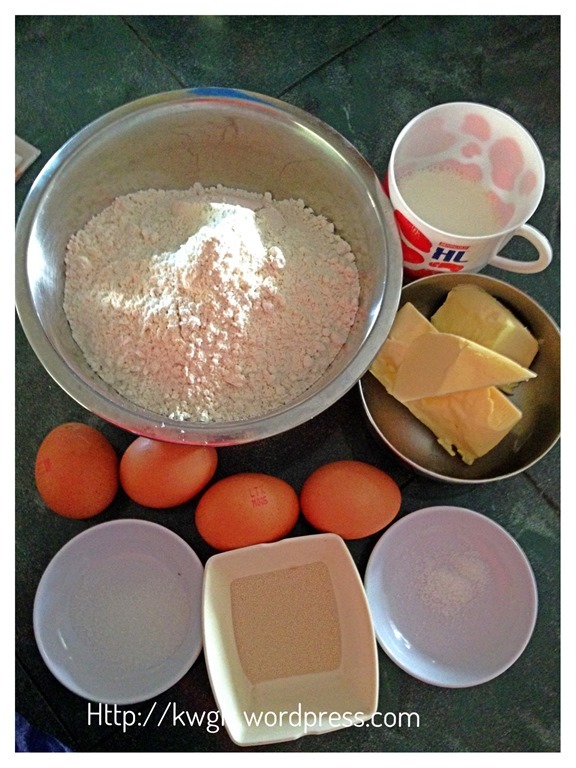 In fact, the egg and butter content are adequate to prepare a cake on its own. 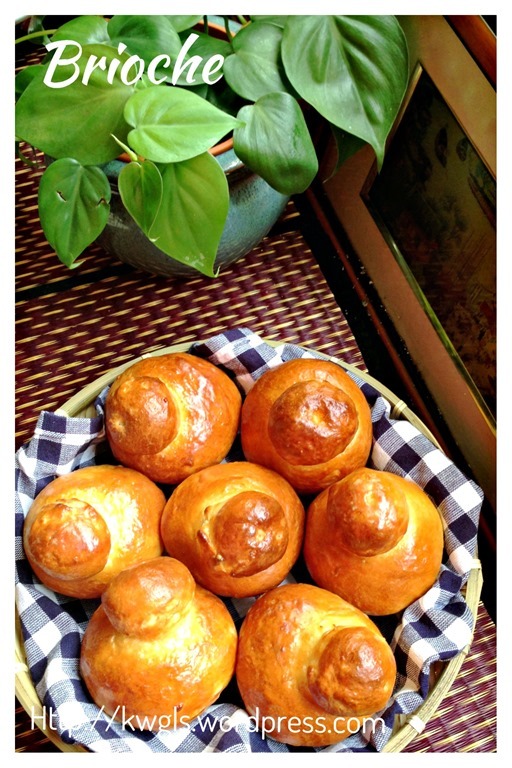 “Brioche (/ˈbrioʊʃ/ or /ˈbriɒʃ/; French: [bʁi.ɔʃ]) is a pastry of French origin that is akin to a highly enriched bread, and whose high egg and butter content give it a rich and tender crumb. It is “light and slightly puffy, more or less fine, according to the proportion of butter and eggs.”It has a dark, golden, and flaky crust, frequently accentuated by an egg wash applied after proofing. 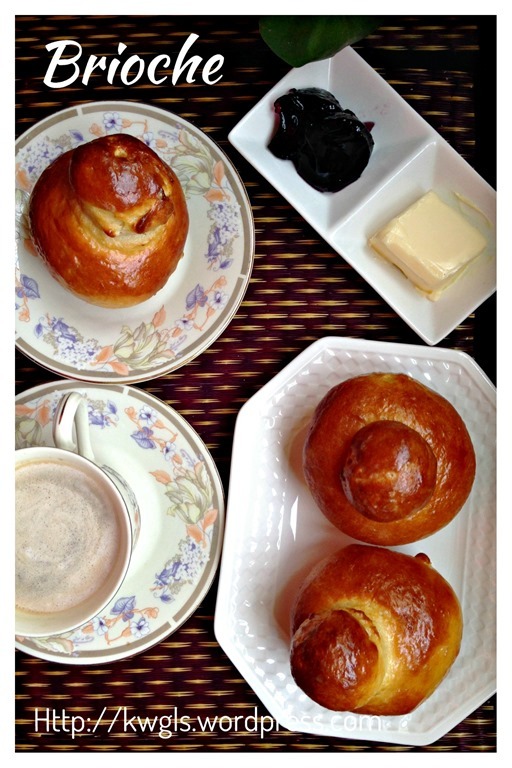 Brioche is considered a Viennoiserie, in that it is made in the same basic way as bread, but has the richer aspect of a pastry because of the extra addition of eggs, butter, liquid (milk, water, cream, and, sometimes, brandy) and occasionally a bit of sugar. 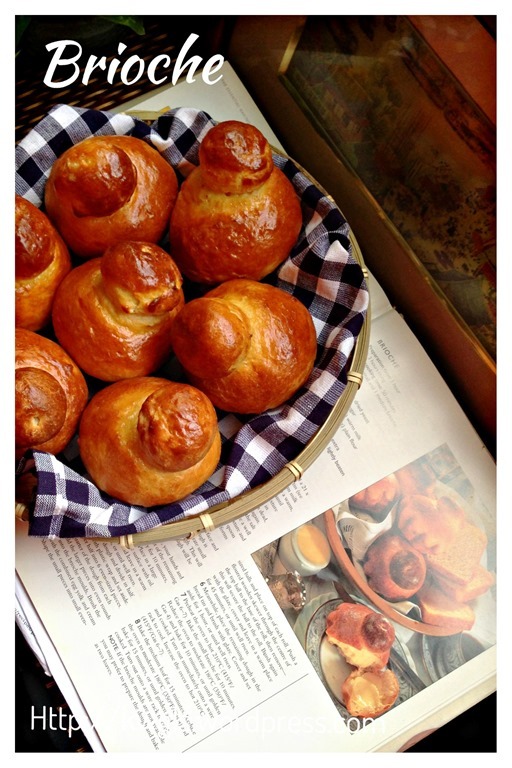 As with all other bread recipes, there are many recipe in the internet. Some are higher yeasted but with a shorter proofing time, but some requires overnight proofing in fridge with minimum yeast. I have selected one recipe that is faster from my favourite baking recipe book “The Essential Baking Cook Book” issued by Murdoch Books in 2000. In fact, I always trusted the recipes from this recipe book and I have never regretted buying the book since I started baking about the same time as the book was published. 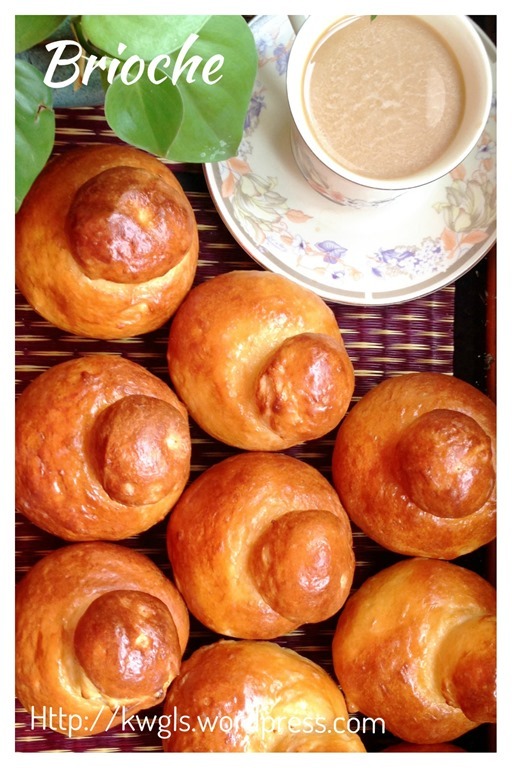 Brioche have a special shape, Traditional, for Brioche à tête, there is a small dough sitting on top of the bigger round dough sit in the special brioche moulds (resemble the egg tarts mould). I am unsure how the special shape arises but I have follow the instruction exactly to come up with that shape. 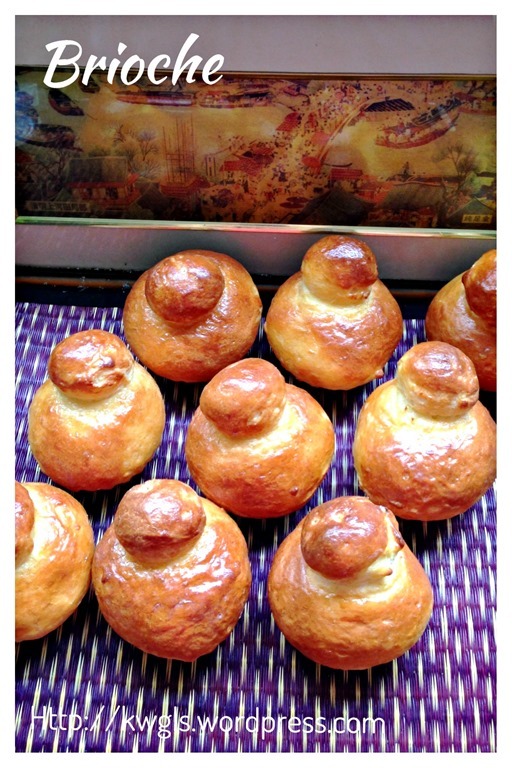 In recent years, the brioche was also prepared in loaf form and there are specially arrangement of the dough in the loaf tin which was not covered in this post. 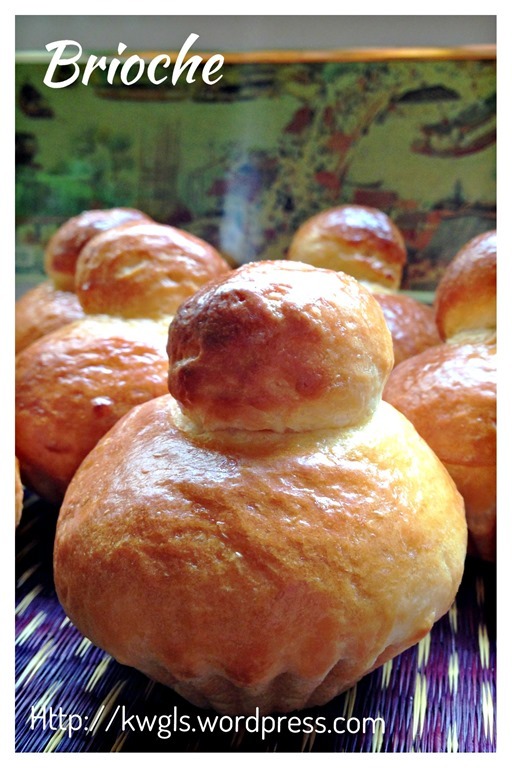 This type of Brioche is called Brioche Nanterre . Besides its shape, it was specially “egg washed” with cream and egg yolk to make it shinny and “tanned”. 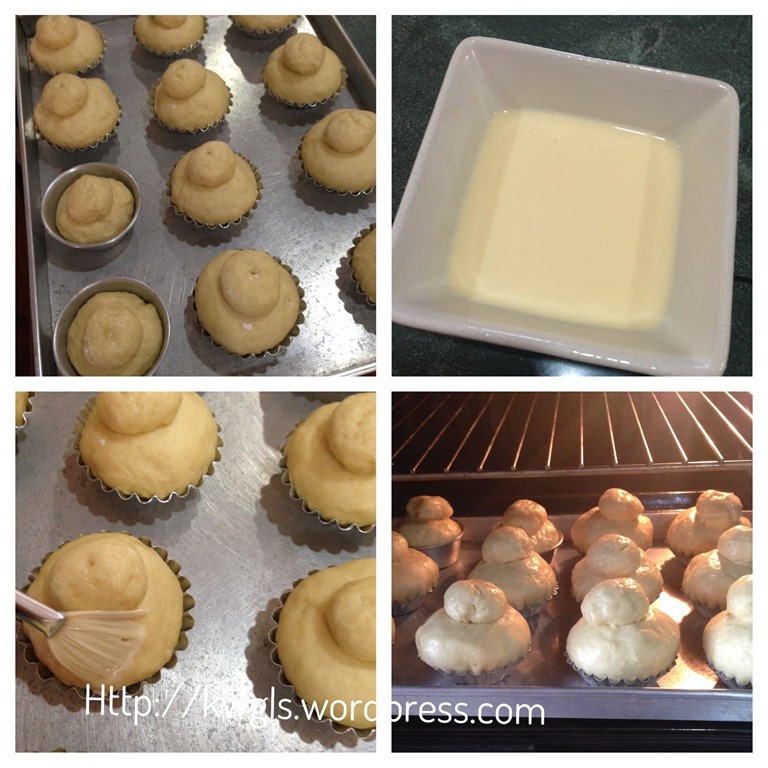 It is supposed to have a light texture and yellowish interior due to the amount of butter and eggs used. Leave about 30 grams of the flour, put 500 grams of plain flour, yeast, warm milk, eggs, salt and sugar in a big mixing bowl . Stir until it form a paste. 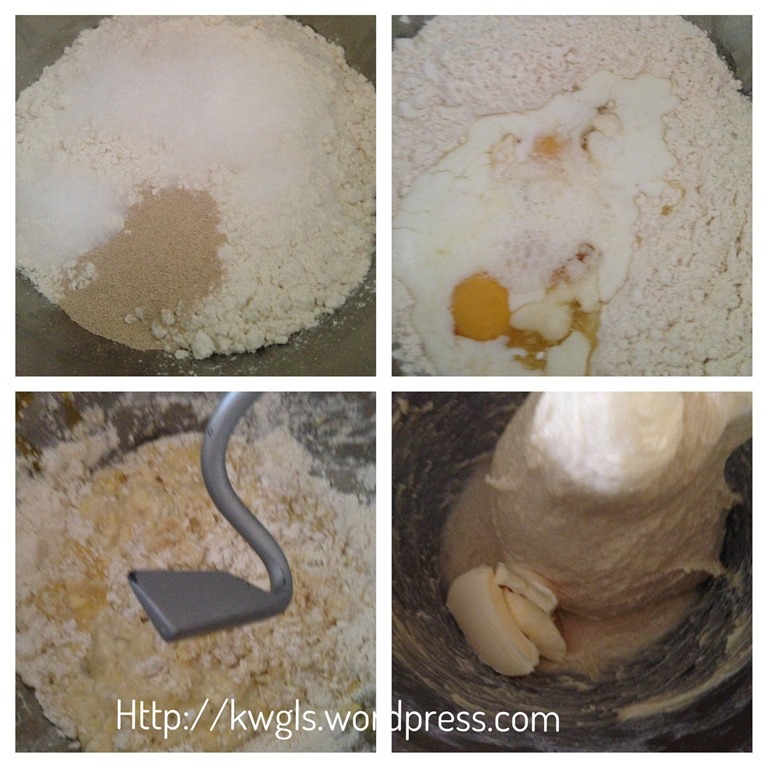 Use the mixer to knead the dough (using dough hook) to knead until the dough leaves the sides of the bowl. Add in the butter gradually, continue kneading until it is smooth and leaves the side of the bowl. If you find the dough too sticky, add in additional flour (from the 30 grams of flour set aside earlier) tablespoon by tablespoon until a pliable dough is formed. Off the machine and pour the dough into a lightly floured surface. 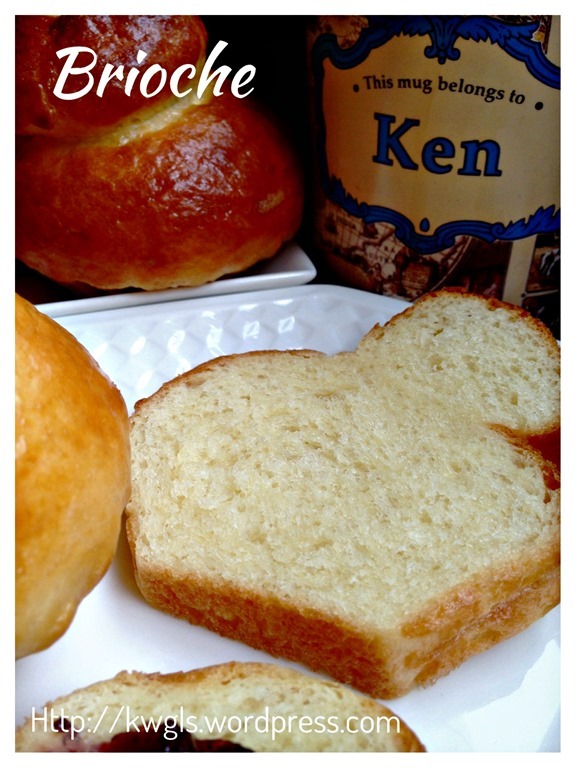 Lightly knead and shape it into a ball and place it in a lightly greased bowl. Cover with a clingy wrap or wet towel. Let it rise for 45 minutes – 1 hour or until the dough is 2-3 times big. Punch down the dough and transfer it to a lightly flour surface. Divide into 12 equal dough. Take out one piece of the dough, take out about 25% of the dough and set aside. 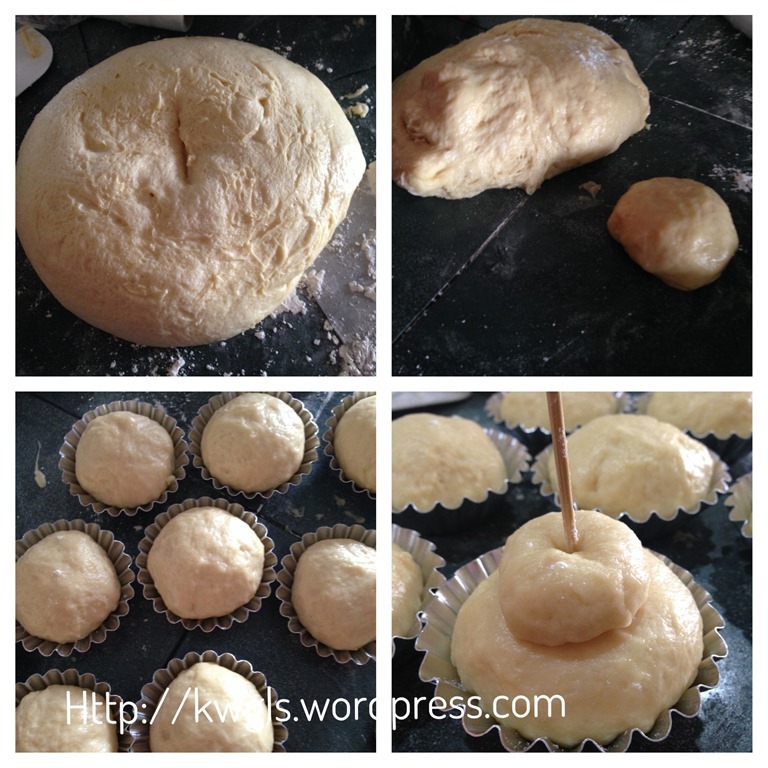 Shape the big dough in a ball and transfer it to the egg tarts mould/brioche mould. 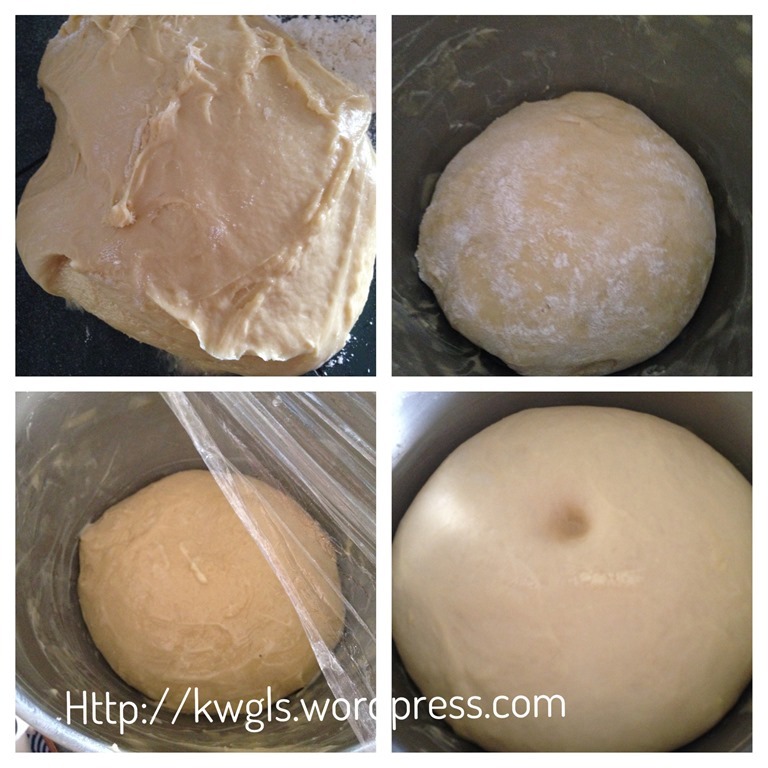 Shape the small dough into a ball and let it sit on top of the big dough. Push a floured wooden skewer through the centre of the top ball to the base of the bottom ball and remove the skewer. This will help to secure the two balls together. Perform the same for all the remaining 11 portion of the dough. Meanwhile, pre-heat your oven to 210 degree Celsius. Beat the egg yolk and cream together and stir until well mixed. 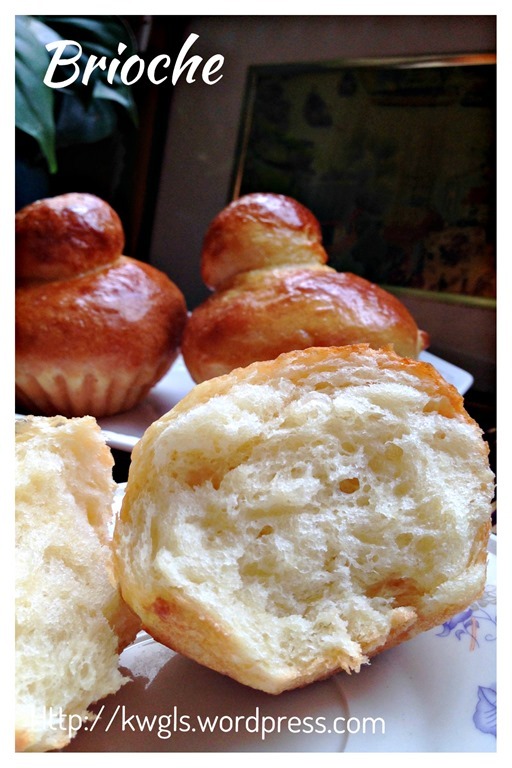 This is for egg washing the brioche. 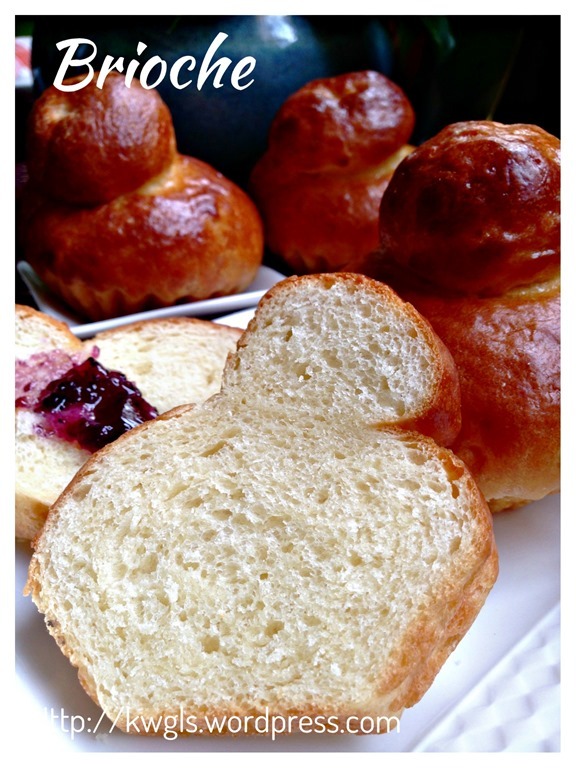 Let the dough proof until double in size and egg wash the brioche as evenly as possible. Bake in the preheated oven of 210 degree Celsius for 10 minutes and reduce the oven to 180 degree Celsius and bake for another 10 minutes or until golden brown. Cool completely on a wire rack. Unlike my usual self, I did not alter much this recipe because it is a “celebrity” bread, a bread that have long established history and associated with a particular country. I have followed the recipe and it turns out good and do consider to give this famous French bread a try. 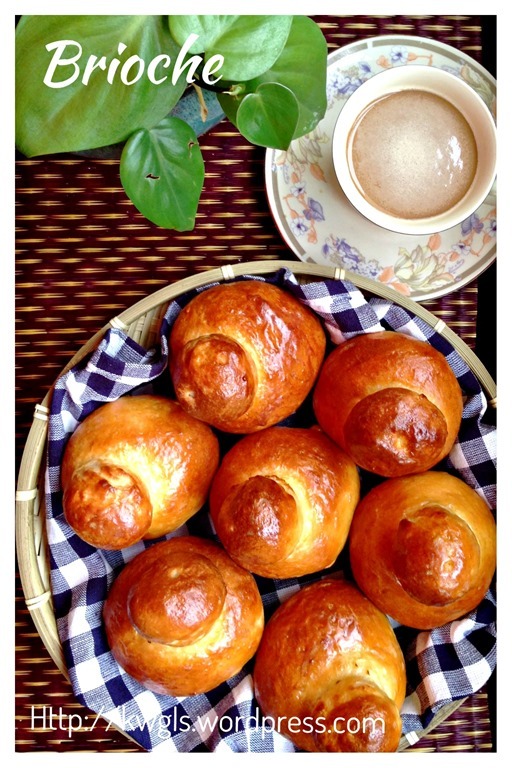 This entry was posted in Breads and Pizza, Food Preparation Series and tagged 8, BRIOCHE, Brioche à tête, Brioche Nanterre, GUAI SHU SHU, Guaishushu, kenneth goh, postaday, 僧侣面包，奶头包. Bookmark the permalink. Hi, plain flour is bread flour?